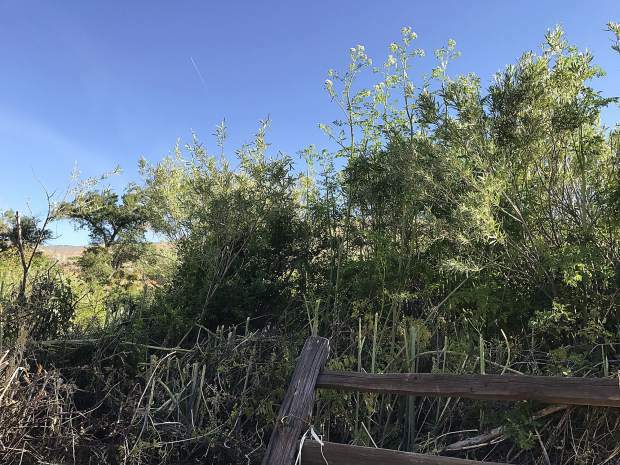 Much of the poison hemlock along the Truckee River at Dorostkar Park in Northwest Reno has been cleared, but some tall stalks of the plant remained on May 30, 2017. While it’s usually good advice to eat your greens, experts warn that eating a particular parsley-resembling plant can be life ending. Concerns about poison hemlock have sprung up recently in California and Nevada, after Washoe County issued a warning amount a large amount of the toxic plant appearing in Reno, Nev.
“With the unusually heavy precipitation this year, poison hemlock has grown abnormally tall,” Washoe County Park Superintendent Colleen Wallace Barnum said in a statement. Hemlock is best know as the poison that killed Socrates. The Ancient Greeks carried out executions on the philosopher and others by forcing them to consume a tea made from the plant, which causes death by respiratory paralysis within hours of consumption. 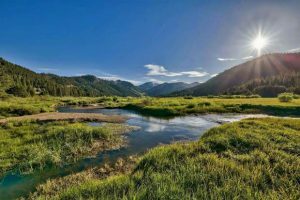 Even though the plant was found in high concentrations along the Truckee River in Northwest Reno, it is not as common upstream in North Lake Tahoe, where the river originates. He said that unless someone is consuming plants found in the wild, he sees no reason to be concerned. “I don’t think anyone needs to avoid anyplace unless they plan on eating plants and roots … for people that like to eat wild plants, it has appearances like others,” Lashbrook said. In 2010, a woman in Tacoma, Wash., reportedly died after mistakenly putting hemlock into her salad. The same year, a Bellingham, Wash., man was hospitalized after mistaking hemlock for wild carrot, and consuming the plant. 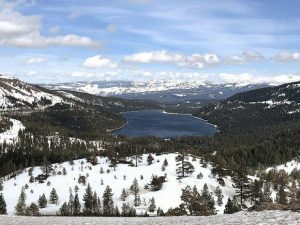 Lashbrook said he isn’t aware of any deaths related to poison hemlock in the Truckee-Tahoe area. 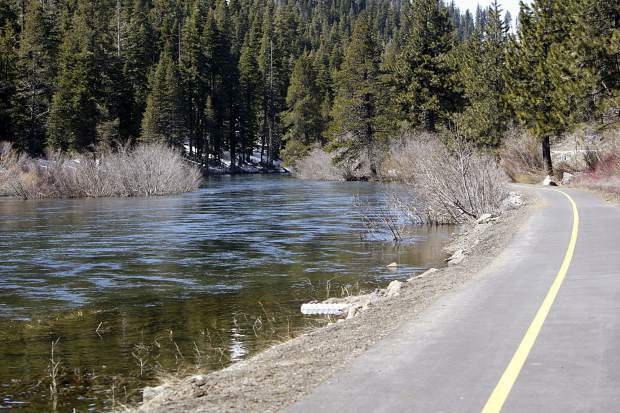 In eastern Placer County, where Lake Tahoe feeds into the Truckee River, concerns about the plant are also low. “Poison hemlock is a common invasive weed, so I’m not sure why this year it’s become on everyone’s radar,” said Placer County Deputy Agricultural Commissioner Ed King. He said people should avoid the plant because it can cause skin irritation and is poisonous if ingested, but it’s also extremely common throughout the United States. While the toxic plant is more common at elevations much lower that the North Lake Tahoe area, it can still be found locally. Placer County has never received any reports of hemlock poisoning, King said.